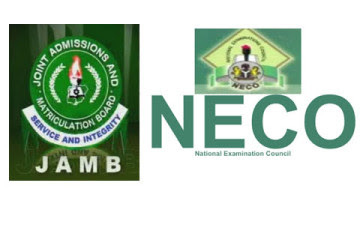 Jamb examination, NECO & Napep may soon be cancelled in Nigeria. As at the time of this report, the Nigerian Federal Government has concluded arrangements to scrap the National Examination Council. I suport d Govt. In d cancellation but does that mean that a candidate will seat for d two exams that will b organize by WAEC? Let F.G. Do wht is bst knwn to dem, me here i jst dey morova education is not for d poor. I dnt think is a good idea for them to cancel jamb. Because then on the rich in the society will now be the only ones to go to school i think waec and jamb should still exist. I don’t understand this country anymore only God can help us o.
I tink d canceling of jamb z d right tin 2 do bcos i dn’t c its need anymor sinc schools ar offerin dia own entranc exam.Abeg mk we sav our resources bt am stl Pleadin wt FG 2 reconsider Neco and Napep.We’r makin progres @ 9ja. It’s a nice decision,made by the federal goverment!! !jamb should be cancelled,but neco should not be cancelled! Scrapping of jamb is alright bt neco is not a good idea what about us that graduated with our neco result? What will happen to us??? Scrapping of jamb is alright bt neco is not a good idea what about us that have already entered school and graduated with our neco result? What will happen to us?? ?